I’d like to start this newsletter by congratulating Dr Pushpa Wood on being awarded the Officer of New Zealand Order of Merit, and Mrs Nanette Nathoo on being awarded the Queen Services Medal. It is great to see these servants of our communities being recognised for their work and commitment in representing and supporting their communities, and through their communities, New Zealand as a whole. Recently I have been reflecting on stories – and the stories that each of us have that make us who we are. Our experiences as we go through our lives add new chapters to our story – and whether we want, or get, the opportunity to share our stories with others, they are still the stories that define us and who we are, and help us to connect with each other. Two weeks ago I had the opportunity to stand in for the Minister for Ethnic Communities, Hon Peseta Sam Lotu Iiga, at the launch of a book called ‘Small Windows on Big Stories’. This book, which was launched at the Central Park Flats in Brooklyn, Wellington, has been written by 5 migrants who live in Central Park, who tell their stories of the challenges and rewards of their migration journeys. Their stories have also featured on Radio New Zealand in recent weeks – and you can listen to these from the RNZ website. The 5 authors have created a wonderful book – and their stories are well worth reading or listening to. I was really pleased that the Office of Ethnic Communities had been able to fund the creation of ‘Small Windows on Big Stories’ through the Settling In funding programme that the Office administers. Recently I also read the book ‘Migrant Journeys – New Zealand Taxi Drivers Tell Their Stories’. This book resulted from a collection of interviews with New Zealand taxi drivers, who talk of their journey to New Zealand, their experiences of settling here, but also of how they came to be in the taxi industry. It won’t come as much of a surprise that many of the taxi drivers featured in the book were unable to get work in the fields in which they were trained, qualified, skilled and experienced. For some the taxi industry offered the opportunity to enter the workforce, and work flexibly to support their families. For others the taxi industry was the only employment they were able to obtain – largely because New Zealand employers didn’t recognise either their qualifications or their experience. For many of us our journeys are punctuated by moments of decision and opportunity, and these moments become part of the stories of our lives, and are moments that we celebrate. However, for some people their journeys are characterised by moments of exclusion, where through no fault of their own their opportunity to experience the benefits of access to employment or health care, housing or education, is denied to them. Their stories become less about celebration and more about facing and overcoming challenges which are not of their making. The role of the Office of Ethnic Communities is, in part, to better understand these journeys for people in ethnic communities – to better understand their pathway to either inclusion or exclusion. We need to support and sponsor pathways to inclusion, and to advise government on the measures needed to overcome the structural and attitudinal barriers to inclusion. We all need to tell our stories, and listen to the stories of others. All of us need the people in New Zealand’s ethnic communities to tell their stories, and to be heard. These stories are important to remind us that we have an obligation to do better in making sure that all our journeys are punctuated by moments of opportunity. The Office of Ethnic Communities has replaced the Settling In fund with the Ethnic Communities Development Fund. This new fund will be open on 15 August and close on 27 September 2016. There will be one funding round a year. The Ethnic Communities Development Fund distributes $520,000 each year to community groups. 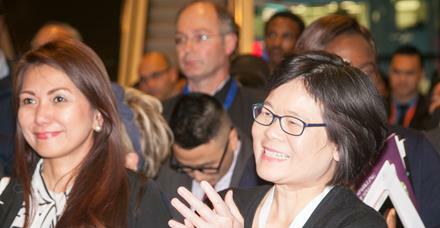 There are three new fund categories and they include leadership development, social cohesion and cultural events. Information about this new fund is available online at www.ethniccommunities.govt.nz. Office of Ethnic Communities would like to alert you to a current telephone scam operating in New Zealand which is targeting ethnic community members. The scammers pose as Immigration New Zealand officials and call individuals to discuss ‘problems’ with their residency, suggesting the person may be considered an illegal immigrant. They then request sums of money to be paid or threaten deportation. This scam is currently being investigated by New Zealand Police. Scams like this are targeted and can seem credible. Do not give out account details over the phone unless you made the call and you trust that the number you called is genuine. Ask for a name and number so you can call them back, and check that number against a number you know to be genuine. If you suspect you have given away your credit card details to a scammer call your bank immediately so that they can suspend your account. Ask to speak to bank staff that specialise in security or fraud for assistance. Credit card companies can reverse a fraudulent transaction if contacted soon enough. If you believe you have been a victim of this scam please contact your local police station. Asked if being a trustee was a challenge or an opportunity, Candy said that both of those equally exist, right from the beginning of the election process to the end of her term. “Understanding the process has not been easy for me because of my cultural background, we don’t have this kind of process in place there”. However, Candy found the information and knowledge needed for the election through the New Zealand School Trustees Association and the school websites. She has also been picking up information from others such as the teachers, librarians, parents and current trustees about the history, context, needs and concerns, aspirations and expectations for the school community where they share and feel connected together. “The real opportunity of participating in the election has ensured that I am able to contribute to the governance and decision making process as a parent representative, in particular one with an ethnic voice” Candy said. When it was announced that Candy was a candidate she had the chance to meet a wide range of people through the school before or after school gatherings, ESOL meetings etc. Many ethnic parents expressed strong support to Candy during the election and are glad to see a representative who has the cultural competency to understand their needs. In the past, the ratio of voting from ethnic parents was extremely low. The school encouraged people to vote for this important position. 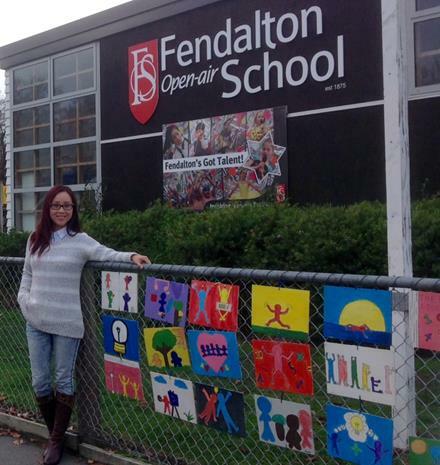 “I was told that I am the first ethnic candidate in the history of the Canterbury Open-air school board election” Candy said. In the past it has been difficult for the school to engage with ethnic parents and to promote the awareness of participation in the process due to cultural and linguistic barriers. Most importantly, no one seemed to be interested in this or feel confident enough to stand up for an election. “Quite honestly, I was really nervous about being introduced to different people at the school, telling them who I am and why I want to be a trustee. But the insights I have gained from this is that language or culture difference would no longer be a barrier when a can-do attitude, a genuine and open-minded conversation, and a respect to different thoughts are in place”. Candy expressed. Candy will start her duty formally from the 27 June. A plan of online learning as a newbie trustee has been scheduled for her. “I hope to be able to add value to the school board by sharing my cultural knowledge and experience with other trustees and together to build a strong and diverse school community”. The Office of Ethnic Communities are pleased to announce that 43 community organisations that work directly with migrant and ethnic communities across New Zealand were successful in receiving funding from Settling In Funding Round 2B. Settling In funding focuses on projects that remove barriers to settlement and that promote self-reliance and community sustainability. The funding allocation panel had some hard decisions to make with requests for Settling In funding in this round totalling more than $1M from total funding available of only $204,250. Some of the exciting projects funded include community leadership and capability building programmes for former refugee and migrant communities, including the well-being of senior citizens and children; skills and information workshops to support settlement and integration; and multicultural public events. Support groups for migrant parents and caregivers have also been funded. For details of the organisations funded and the amounts allocated. If you would like to see the geographical distribution of the grants for Round 2B you can see them here. support to successful applicants to help them get their projects started. We are looking forward to featuring updates about the 1 year projects funded in rounds 2A & 2B. So keep an eye out for those. Further news regarding Settling In and the review of the fund has been announced. 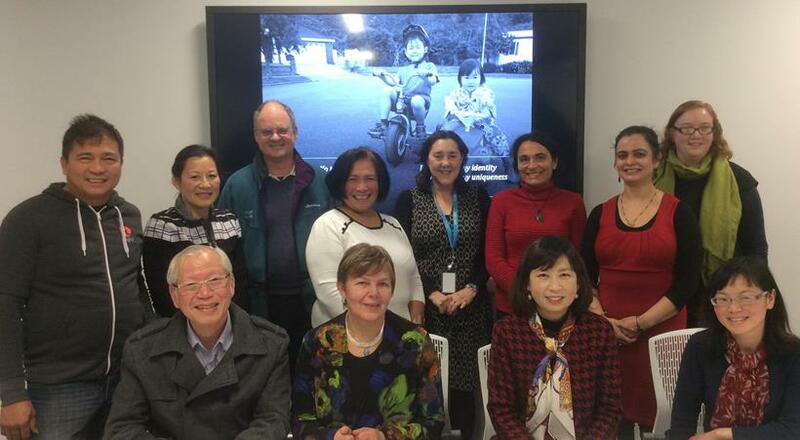 On the 28th June the Office held its regional Heritage and Community Languages workshop in Christchurch. This was the second of three workshops that aimed to acknowledge the valuable contribution made by community stakeholders in the development of the Office's Heritage and Community Guidelines. The guidelines document was developed through a series of consultations and was formally launched on the 19th March 2016 at the Tauranga Multicultural Festival. The guidelines emphasise the importance of valuing heritage and community languages in New Zealand and recognises the need to maintain these languages in an increasingly diverse landscape. The guidelines document also profiles a number of language celebrations including Hindi Language Week, the Greek Food Festival and Niuean language week. It offers templates and resources that will support communities of all sizes in organising their language celebrations and includes a range of practical information presented in an easy-to-read format. In Christchurch the workshop included representatives from the Filipino, Italian, Russian, Chinese, Indian, Malaysian and Vietnamese communities. These included stakeholders who offered valuable input to the original consultations as well as others who had been involved in various forms of feedback. This workshop was an opportunity for the community to reflect upon the document. The attendees at the Christchurch workshop were particularly interested in the collaborative opportunities for celebrating language maintenance across ethnic groups. This workshop followed a session in Wellington on the 22nd June and concluded in Auckland on the 29th June. Please check out the Heritage and Community Language Celebration Guidelines. Elections of local authority members, including district health boards are held once every three years. The next elections will be held later this year for city, district and regional councils and district health boards. In some parts of New Zealand, elections will also be held for local and community boards, licensing trusts and some other organisations, and the call is out for candidates and voters! The Department of Internal Affairs has a number of particular roles in local authority and district health board elections and the Office of Ethnic Communities has been working closely with local authorities to ensure that ethnic communities are supported in accessing the information they need to understand the voting process, how to stand as a candidate, and how to make sure your vote is counted. 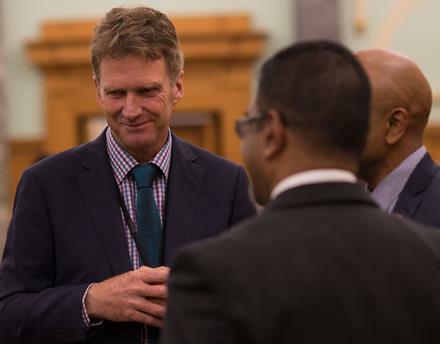 A number of local authorities including Auckland Council are interested in engaging and supporting the participation of ethnic communities in the 2016 local elections. This includes the provision of language support and information seminars, so that ethnic communities have the same access to relevant information and opportunities to participate in local elections. If you would like to find out more about the importance of local elections and the decision-making processes which affect your everyday life in New Zealand, please get in touch with your local council. 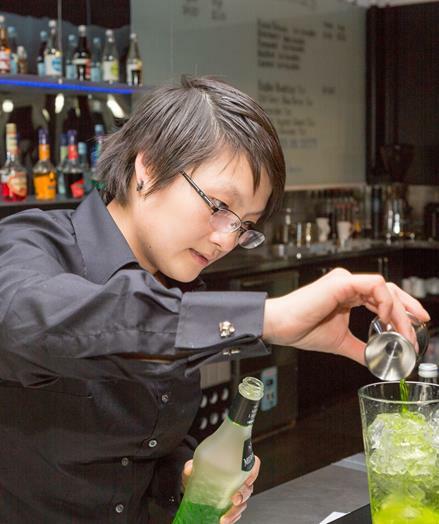 Shilinka Smith, a former policy analyst at the Office of Ethnic Communities has carried her commitment to the principles of inclusion and diversity into her new enterprise as Chief Executive Officer of popular Wellington Restaurant Fusion Virtuoso on Manners Street. Shilinka and her Fusion co-founder Becky Chin support diversity in all its forms, have expertise in cultural diversity and are on a mission to “ make a difference” by operating the business as a social enterprise and using the profits to fund projects and activities which support diversity. Further details are available on their website - or pop in and see them for a great cup of coffee. The Office of Ethnic Communities was pleased to join former participants in our Building Bridges programme (now the Canterbury Muslim Community Trust) and members of the Islamic Women’s Council New Zealand at Masjid Al-Noor in Christchurch last week to learn about two new initiatives which aim to build cultural and religious bridges by reaching out to Muslims and the wider non-Muslim community through its Help for the Homeless and Food Bank Projects. 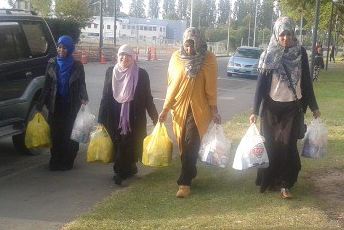 In July this year the ladies of the Islamic Women’s Council New Zealand will celebrate the first year anniversary of their Help for the Homeless Programme. Once a month on Sundays volunteers prepare hot meals using food donations and in addition provide food packs to homeless of all denominations and backgrounds. As an offshoot of this initiative the group established The “Muslim Community Food bank” which has been running since October 2015. As donations and volunteers along with those needing help have increased, the Muslim Community Food Bank organisers can no longer store and distribute food from their own homes and are on the hunt for alternative premises. Their work is also attracting wide public interest in Christchurch and offers of partnership and support from other food distribution and homeless support groups. Congratulations on this wonderful initiative ladies, particularly Najah Mohamed who started the Help for the Homeless Programme and Denise Jaeger who works tirelessly to coordinate and store food donations. The International Asian and Ethnic Minority Health and Wellbeing Conference 2016, hosted by the Centre for Asian and Ethnic Minority Health Research (CAHRE) and eCALD®, will be held on 6 - 7 September 2016 at the University of Auckland’s Tāmaki Campus. With a theme of “Working Together to Achieve Better Health Outcomes” the 2016 CAHRE conference brings together health practitioners, service providers, service managers, policy makers, researchers, community leaders and students to share their knowledge and experiences in Asian and ethnic minority health. Through a mixed programme of international and local speakers, featured sessions, workshops, and oral and poster presentations, the conference hopes to help build the capacity of communities and service providers in improving the health and wellbeing of Asian and ethnic minority peoples. We are inviting submissions for oral/poster presentations of current or recently completed research projects or service initiatives for this purpose. The deadline for abstract submission is 8 July. Anthropologist, Sophie-Claire Violette, a recent migrant to Ashburton from Mauritius says that the aim of the recently opened outdoor exhibition Crossing the Bridge was to explore what it means to be a migrant in rural New Zealand. The exhibition features 22 portraits of individuals from different places of origin - each accompanied by a visual diary of their daily lives and personal reflections on identity in their new environment. Sophie-Claire Violette said “I have never wanted to change the person that I am or the woman I am. I have come a long way to embrace my individuality, to embrace my womanhood, and to embrace my cultural heritage as well”. The photographs contained in these diaries were taken by participants themselves - each was given a disposable camera and invited to explore Ashburton and take photos of areas which made them feel at home. Sophie-Claire (herself a participant) noted that the migrant journey in small rural towns can be different from that in more cosmopolitan areas. Her aim was to heighten the visibility of migrants by locating the exhibition in a much frequented public space. She noted that this act serves to legitimize diverse identities. The idea being that the exhibition gives the participants a platform to express who they are in the full complexity of their identities and to introduce themselves to the community. The title of the exhibition, Crossing the Bridge, is an invitation for people to cross a bridge and meet each other in the middle. The Exhibition ran from 21-30 May and is co-funded by Creative New Zealand, and local businesses.